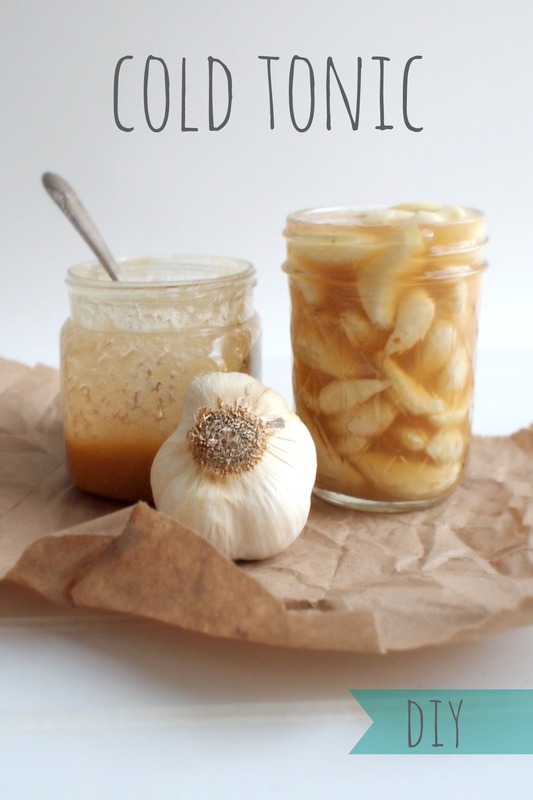 Place peeled garlic in jar (check out this video for a quick tip on peeling a whole head in less than 10 seconds!). 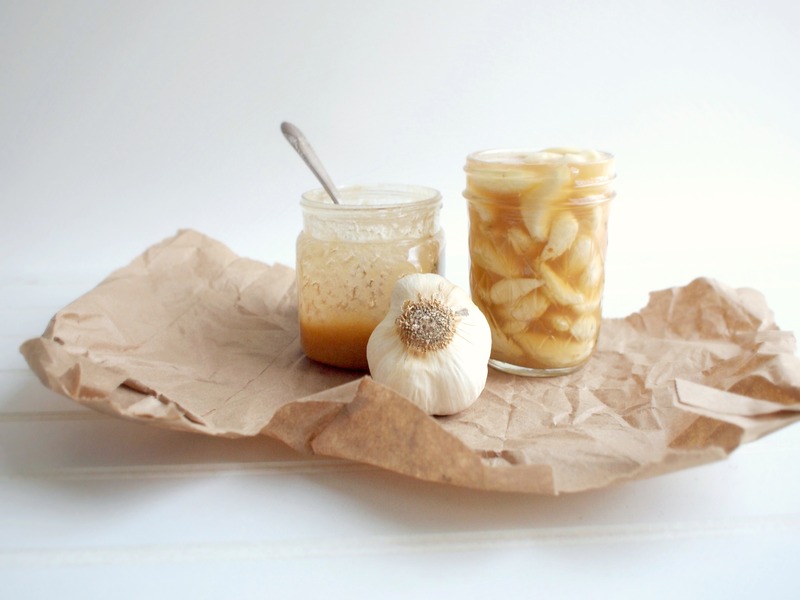 Add raw apple cider vinegar to completely cover the garlic. Cover and place in a dark place for 3 weeks, checking periodically to ensure garlic is fully submerged, adding more vinegar if necessary. After 3 weeks, strain off the liquid. Set 1/2 the liquid aside to use in dressings, marinades, or an immune boosting tea. Add the remaining liquid with an equal amount of raw honey in a saucepan over LOW heat (which is important for preserving enzymes and probiotics). Warm and stir until honey is dissolved in vinegar. Pour mixture back over garlic, cap, and store in a dark place for another 3 weeks. When done move to fridge for storage. At the first sign of an illness, start eating a clove of garlic every few of hours. I try to take at about 3/day. If eating garlic raw isn’t appealing (mind you it will be less potent than a raw clove after fermenting), try blending it in a dressing or tea. It is crucial that you chew, crush, or mince the garlic as this is when the powerful medicinal properties. You can also use the liquid to make a tea, adding hot water, cayenne, lemon, and pressed ginger for some extra immune boosting benefits. So, my garlic turned blue. Like, SCARY blue. Is there a way to avoid that?! Is it even safe? do you tighten the lid while it is fermenting? It seems like it could explode.